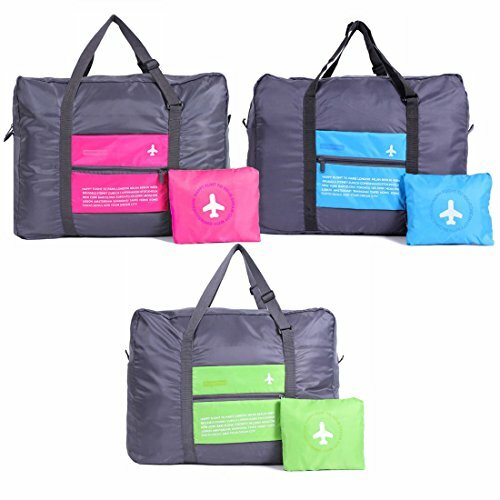 Travel:It is ideal for travel, camping, hiking or go to the beach.Waterproof Foldable Super Lightweight Large Capacity Storage Luggage Bag If you are traveling and plan on purchasing gifts or clothes this is perfect to get everything home in. INTENDED USE: Gym, Sports, Travel, Luggage, Carry-on Bag, Hiking and Camping. Comfortable and convenient to carry. Perfect size, easy to carry and even better, it is easy to fold up and put away. Size: 18 x 8 x 13.6 inch (46 x 34.5 x 20 cm) folded size: 7.8 x 5.5 inch When you unfold the bag it becomes a very small pocket and easy to carry or store.After you open the duffel you can use the pouch on the front for anything you want to carry along as a cell phone, makeup, credit cards, money, etc. If you have any questions about this product by GARASANI, contact us by completing and submitting the form below. If you are looking for a specif part number, please include it with your message.